Alice Cooper. Mike Myers. Michael Douglas. Sylvester Stallone. Tom Arnold. Willie Nelson. Anne Murray. Shep Gordon. Robert Ezrin. Patricia Barson. Documentary. Biopic. 1970s. Media/Journalism. Music. 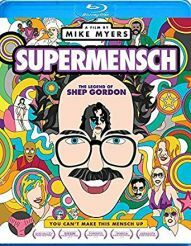 In his directorial debut, Mike Myers documents the astounding career of Hollywood insider, the loveable Shep Gordon, who fell into music management by chance after moving to LA straight out of college, and befriending Janis Joplin, Jim Morrison and Jimi Hendrix. Shep managed rock stars such as Pink Floyd, Luther Vandross, Teddy Pendergrass and Alice Cooper, and later went on to manage chefs such as Emeril Lagasse, ushering in the era of celebrity chefs on television. Stuffed with fantastic archive footage the film traces Shep's transformation from the 1970's hedonist to today's practicing Buddhist yearning for a family of his own.